the best TV and Films I like. When any historical documentary can transport you to another time and place, and feel the emotions from what you're seeing, it has succeeded in its purpose. 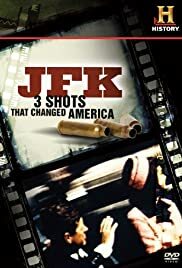 The JFK assassination has been related many times, but this History Channel production is the best time capsule of the horrific news of November 22, 1963 ever. It's related in just the manner that most people learned of and witnessed on that fateful day, and the subsequent events in the aftermath. The evening news anchors had, by 1963, become the trusted voices of the public's lifeline to national and world events. 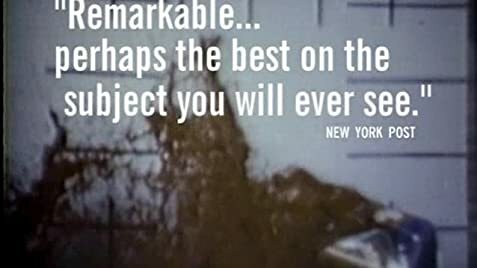 The likes of Walter Cronkite, David Brinkley, John Chancellor, Harry Reasoner, and several others brought to life the rapidly unfolding events surrounding the tragedy, as passioned viewers could only be spectators from the living rooms. The story is presented in just that matter. This compilation of vintage footage from original network news coverage, is brilliantly edited. In places, it's conveyed at almost to real-time chronology (especially the moments immediately before and after the assassination). The faces of JFK, Jackie Kennedy, Lee Harvey Oswald, Jack Ruby, John Connelly, Bobby Kennedy, John-John, Lyndon Johnson; all are real, and you truly feel "You are there," to quote Cronkite. The sequence showing how a soap opera was in progress, with the very first news bulletin at 12:30 PM, was almost eerie in how it accomplishes this. In fact, seeing the events unfold again in this format, perhaps because of the original black&white technology, is haunting in its entirety. The person-on-the-street interviews of people, the testimonies of eye witness at the site of the shooting, etc. all bring to life this 46-year-old piece of history. Events in the months and years following that study the conspiracy theory and Warren commission report are a little slower and the power of the story weakens as the time line spreads out. This has to be addressed, of course, because it was fallout from the assassination, but it just doesn't quite maintain the emotional level of Nov. 1963 portion. Still, the story is well told. This is a fine production, that reverently, powerfully, and honestly relates the subject manner.